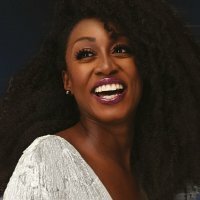 OK my puns get worse, but Beverley Knight just gets better and better. The lady has gained credibility for bunking away from major labels and continuing her quest as a soul singer proper. Her new album '100%' has gathered acclaim left, right and centre and she recently announced a very special date at the Royal Albert Hall on April 7th. In addition to this singular London date, the sassy artist will also appear at an extra quartet of UK venues, also in April 2010. The new performances kick off at the Rhyl Pavillion on Friday 2nd April (£18.50) and carry on to York's Opera House (4th - £21.50), Manchester's Lowry (5th - £21.50) and straight after the London gig on the 7th, at Leamington's Assembly Rooms on the 8th (£22.50). Tickets go on sale at 10am tomorrow (Friday 4th December). Knight has also announced a new EP for March 8th 2010 entitled 'Soul Survivor'. The release will feature the title track of the EP plus several live dates taken from her 2009 tour.